With a stellar performance from its tourism sector, Aitken Spence PLC reported its highest ever profit before tax of Rs. 5.5 billion for 2011/12. The Company posted a consolidated profit after tax of Rs. 4.7 billion for the year financial year ended 31st March 2012. The blue chip showed a net profit attributable to the shareholders of Rs. 3.7 billion, a remarkable 46.2 per cent increase from last year, while revenue grew by 22 per cent to Rs. 30.7 billion. During the year Aitken Spence realized a gain of Rs. 655 million with the strategic decision to sell the Company’s stake in Colombo International Container Terminals Ltd.
Aitken Spence reported an exceptional growth in earnings per share of 46.3 per cent to Rs. 9.14 and announced a dividend of Rs. 1.40 per share which is an increase of 40 per cent over the previous year. The Group’s fourth quarter net profit attributable to shareholders surged by 92.8 per cent to Rs. 1.76 billion while profit after tax swelled to Rs. 2.14 billion, a 73.5 per cent increase over the corresponding period in the previous year. Net revenue for the final quarter rose by 39.1 per cent to Rs. 9.65 billion. nearly 50 per cent of the Group’s profit from operations in the financial year 2011/12, regaining is position as the number one contributor. 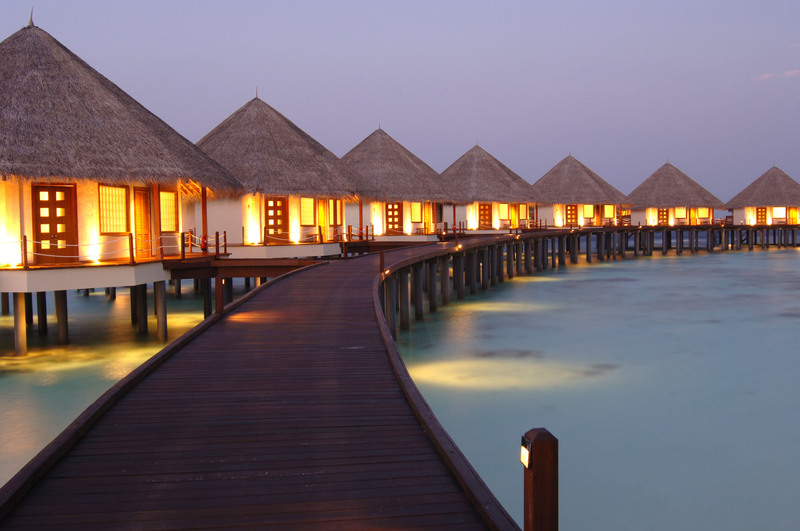 The highest contributor towards the sector’s growth was the Group’s resort properties in the Maldives. The results followed a strategic revision of our operations in the Maldives, taking into account the present market realities and trends. The Group’s six resorts compete in different market segments, but are collectively positioned in the 4 star and 5 star categories, which has seen a heavy demand in a market studded with up market resorts. The Sri Lankan hotels recorded operating profits on par with 2010/11, due solely to closures of several key properties for refurbishment. Heritance Tea Factory performed exceptionally well during the year, while Heritance Ahungalla also returned a satisfactory performance. Heritance Ayurveda Maha Gedara opened its doors during the year as an authentic Ayurveda resort and has been well accepted by the market. The Dambulla wing of Heritance Kandalama was closed for six months for construction of a conference hall and refurbishment of guest rooms. The conference hall is expected to be completed by July 2012. The Sands by Aitken Spence, the Kalutara resort acquired in 2010, opened in May 2012 following an extensive refurbishment. A further 90 rooms will be added to the property by end 2013. In a first for Sri Lanka, The Sands will operate as an all inclusive hotel with dine around concept, offering three dining options to guests. With the tourism industry shifting towards a more sustainable business model by making itself greener and more socially responsible, Aitken Spence hotels are proud to have been at the forefront of promoting sustainable tourism, long before its hype in the industry. This year the various properties were rewarded for this commitment by receiving a plethora of awards. To name a few, The Heritance Tea Factory was the only hotel to win a PATA Grand Award in the ‘Heritage and Culture’ category, while the Group’s hotels swept the boards at the National Energy Efficiency Awards 2011, winning Gold (Heritance Kandalama), Silver (Heritance Tea Factory) and Bronze (Heritance Ahungalla) in the Large Scale Hotel Sector category. The sector’s Indian operations continue on a management model and further expansion is envisaged. The hotels in the Oman segment turned around, recording satisfactory growth. The destination management segment of the Group enjoyed its best year on record, strengthening its leadership position with a substantial growth year on year by enabling to achieve a healthy mix of tourists from the traditionally strong European sector as well as from new generating markets such as India, Middle East and Eastern Europe. operations of Rs. 846.8 million, which was a 40.7% growth over the previous year. This profitability was generated from a revenue that grew by 13.9% over the previous year to Rs. 4.7 billion. The maritime segment of the sector enjoyed exceptional growth in profitability despite the immense competitive pressure faced by the global maritime industry. period. The largest player in Sri Lanka offering a full spectrum of logistics services, the segment continued to invest further in building capacity. The freight forwarding segment experienced the ripple effects of tough global conditions, as the slowdown in the European and the US economies continued throughout 2011. The Strategic Investments sector recorded a net revenue of Rs. 14 billion for the financial year, a growth of 30.3 per cent compared to the previous year. Its net profit from operations rose by 17.7 per cent to Rs. 1.1 billion. The sector includes the Group’s Power, Printing, Plantations and Garments segments. The power segment continued to achieve a positive performance during the year, whilst moving forward with its initiatives for the generation of renewable energy in Sri Lanka and taking its first steps to venture overseas to set up and operate power generation plants in the region. These positive results were achieved despite the significant impact the closure the segment’s main power plant in Embilipitiya in the beginning of the year due to a technical failure which was subsequently corrected by the equipment supplier. The power generation companies of Aitken Spence leads the industry in environmental, health & safety and quality standards. enhancing capacities to position itself as a preferred print partner for high quality products for local and export markets. Operations have begun at the newly constructed state-of-the-art green factory complex in Mawaramandiya. The Services sector of the Group recorded a net revenue of Rs. 1.7 billion during the year 2011/12, achieving a 13.3% growth over the previous year, while the Sector’s net profit from operations rose by 23.5 per cent to Rs. 977.6 million. “Extensive efforts were undertaken during 2011/12 for capacity building on sustainability with the Group committing over 60,000 man hours towards capacity building on sustainability topics and implementation of the strategy”, added J M S Brito, Deputy Chairman and Managing Director of Aitken Spence PLC. During the financial year, Aitken Spence invested in over Rs. 30 million in community investments including a contribution of Rs. 15 million for the Gemi Diriya Sanitation and Water Project which benefited about 350 families within the immediate vicinity of the Embilipitiya power plant. The company also commissioned a road development project in close vicinity of its container yard at a cost of about Rs. 8 million. Ninety per cent of the Group’s sustainability committee members, who are responsible for the execution of sustainability driven strategies at subsidiary level, have been trained since the Human Rights at the Workplace programme was introduced in 2010 to the Group. Majority of which received their training during the 2011/12 financial year.